Alaskan Bush People are still in the woods but it’s a lot different from Browntown and it’s far from the Alaskan bush. The new home for Billy Brown and Ami Brown, along with their family, is in the wilderness of Washington State. Unlike the Alaskan bush home they created, this one is not too far away from civilization. When the Alaskan Bush People show first aired back in 2014, the venue was something brand new. People flocked to watch Billy Brown, along with wife Ami and their family, live off the grid in the wilderness of the Alaskan Bush. The Patriarch of the family is Billy Brown and along with his wife Ami Brown, they reportedly raised their kids in the Alaskan wilderness. Fans were first led to believe that the family did this without any modern amenities or conveniences that the rest of the nation takes for granted. But that wasn’t the case all of the time. While the Alaskan Bush People did live in their secluded Browntown, they weren’t there on a constant basis. This was something fans learned as the show went on. They also lived in civilization when not filming out at their Browntown make-shift city in the woods. This caused hoop-la and some fans became enraged over being dupped. 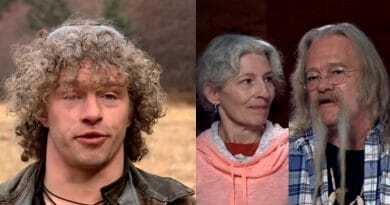 The Alaskan Bush People weathered that storm and their show went on to bring in the ratings. Now with the show airing their latest season, they are playing their roles in Washington woods. Unless you are a hiker and know that area well, you probably wouldn’t notice any difference on screen. Depending upon the camera shot, the scenery in Washington and the Alaskan bush homestead look very similar. It would be very easy for the people behind this show to advertise it as the Alaskan Bush once again, but they didn’t. This time they’ve been up-front about the family’s move to this new wilderness spot. The reason they are in Washington instead of Alaska has to do with Ami, the family’s matriarch. She fought a successful battle with advanced cancer. While her prognosis is reported as good, there are still many follow-up tests she needs to do. According to Country Living, this new place is just seven miles from the main road and close enough to civilization where Ami can undergo tests every three months. If she needs to see a doctor at any time for an urgent situation, they aren’t that far away. Moving to a new location for the Brown’s wilderness home is due to Ami’s health. If an emergency should arise with her or any other member of the family, they are not that far from help. Not like they were in Alaska. With that said, the people behind the scenes of this show may have learned their lesson from the previous fact-checking debacle they experienced in the past. It is better to be upfront than to try and fool the audience. Still, it is far from the same old Alaskan Bush People venue. The Browns are privy to modern-day machinery, vehicles, and things they would never have when the show first aired. 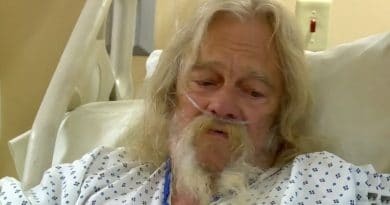 The news today indicates Billy Brown said they can never move back to Alaska. The reason is Ami Brown’s health. 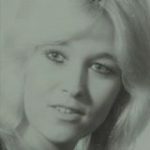 Keeping this wilderness mom healthy is much more important to Billy Brown and the family than the Browntown they built. 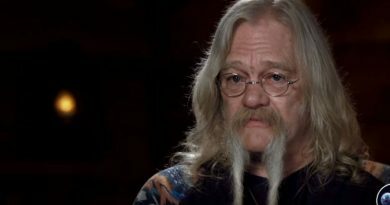 It may look like the Browns are now playing house in the wilderness to some Alaskan Bush People fans. But many of the die-hard fans are more apt to side with the family on this. They’d much rather see the family keeping Ami Brown safe while watching the family living in a new version of the wilderness. Be sure to follow Soap Dirt for the latest news on Alaskan Bush People.